Meadows are beautiful dynamic habitats with rich populations of plants and animals, and unfortunately, they have been reduced substantially in the last 50 years. Contributing to their decline is the tractor mower which makes it very easy for everyone to mow often and expansively. Loss of pasture land with grazing animals has also contributed to the decline of meadows since many native wildflowers once flourished in rural areas alongside grazing cows and sheep. Meadows can easily be brought back. 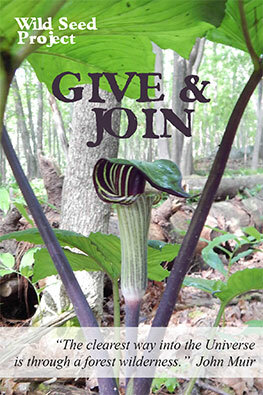 Towns, homeowners, roadside managers, and land trusts have the opportunity to return meadow habitat to their landscape. A new meadow can be grown from seed on carefully prepared soil, a lawn can be released from weekly mowing and meadow wildflowers added, or old fields or roadsides can be diversified by reducing and timing mowing to support native plant flowering and reproduction. 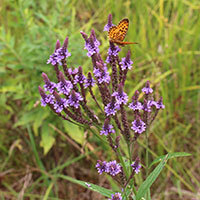 Starting a native meadow from scratch on unplanted land is a multiyear process. This is successfully being done in many parts of the country and when well-executed results in a beautiful, evolving meadow full of native plants whose species composition changes over time. 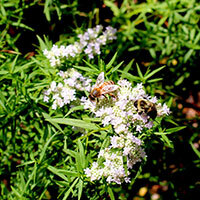 Native wildflowers and grasses can be restored, including many that are not frequently seen anymore, adding beauty and supporting a diversity of other creatures unique to these plants. Plan on a full growing season to prepare the site before the native species are seeded or planted. It will take at least 2-3 years for the natives to start blooming and set seeds, so patience is required if you choose this route. If you have an existing lawn or old field, you can create a diverse and beautiful meadow by changing your mowing habits and planting some new species by seed or as small plants. You will have to spend time controlling invasive species and accept the more benign exotic grasses and wildflowers that will coexist with natives that you add. This meadow can be beautiful, support biodiversity, and in the long run require much less care and fuel than turf. Below is an introduction to what is involved in meadow establishment. I outline the basic process for establishing a meadow on a piece of bare earth starting from seed, summarize methods for converting a lawn to meadow, and offer suggestions to increase the diversity of native plants in existing fields and roadsides. If you are interested in proceeding further, I have listed additional reading that will provide detailed sowing and planting instructions. As with all landscape projects, your first job is to assess your site conditions. 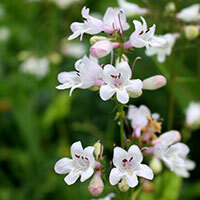 Most meadow plants need a full to half a day of sun, ensure that this is your situation. Next determine the soil conditions – is it sandy, gravel, clay, loam, and what is the level of moisture: wet, medium, or dry? Finally, identify existing plants because they are key indicators of soil types and moisture levels. (For help in identifying plants visit GoBotany). 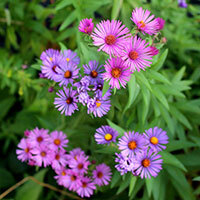 An understanding of the above conditions will guide your choice of species to plant. 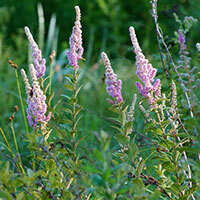 If there are any invasive plants*, these must be removed before you plant your meadow. Bare, disturbed earth will need to be prepared before planting. Construction zones usually result in soil that is very compacted. Loosening the compacted soil is crucial before planting, as this is a man made condition that few plants appreciate. Hand digging with a fork and planting a cover crop to break up the heavy soil is very effective in improving this situation. Roto-tilling loosens the surface and brings up thousands of new weed seeds. If you choose this method, you must plant a deep rooted cover crop in the first growing season to deter the weeds and break up the heavy subsoil. 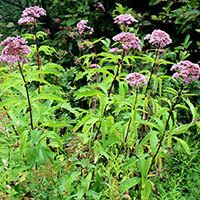 The next step is to prevent weed seeds from germinating and dominating your native planting. 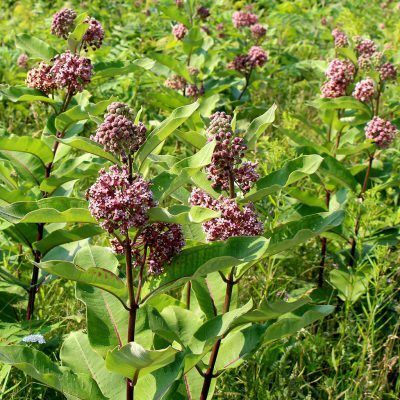 Cover crops (e.g., buckwheat, clover, oats – see Johnny’s Selected Seeds – Farm Seeds.) are my preferred method for weed seed suppression and can be planted any time during the growing season. Cover crops quickly carpet the soil with green foliage that outcompetes weeds while the roots pierce deep into the soil and improve its structure. A cover crop looks attractive and stimulates microbial life in the soil. 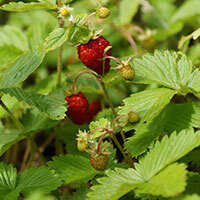 With a very weedy site consider a whole year of cover cropping before sowing native seeds. A spring/summer season of cover cropping works well with native meadow establishment because fall is the best time to sow the seeds of many native species. Garden Revolution by Larry Weaner – This new book is an excellent resource with many inspiring photos of native meadows and landscapes. The first step to a lawn becoming a meadow is to stop the weekly mowing. Next you should pay attention to what plants are already there and remove any problem invasive species * (see note above). If you already have bare patches between the grass (common in dry or shady lawns), you can immediately start planting small plants or scratch in some seeds, ideally in early spring or fall. I suggest that you mow a meandering path through the area to invite you out in the space once the grass and other plants grow taller. 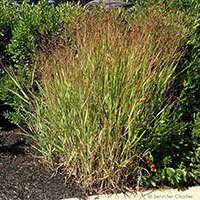 Lawn grasses can also be killed without herbicides using a technique called soil solarization. The entire lawn is covered with black plastic for 3 months – the heat kills the grass. You will then have a weed free area where you can rake and sow seeds or plant small plants in the dead turf. Sheet mulching is another effective technique. Read about these methods in our Primer for the ecological gardener. 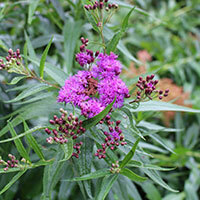 Changing your mowing regime is key to encouraging native plants. Traditionally in Maine people mow in the middle of the summer. This stems from our agricultural tradition of harvesting hay for animal feed. This is fine for hay, but not for the native plants and animals whose habitat and reproduction cycle is severely disrupted by this midseason mowing. 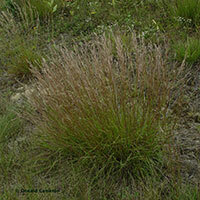 One mowing late in the season (November) or in early spring will let the native species flower and set seeds. 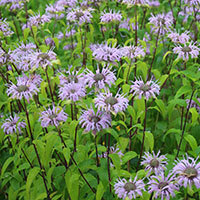 For more information and guidance on this read our blog on managing meadows. 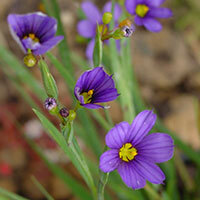 To add new species, small plants of sturdy species can be inserted in early spring or fall. 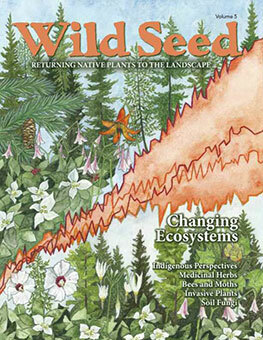 The New England Wild Flower Society sells New England species by the flat (juvenile wildflowers or grasses in small deep pots), or you can grow your own. 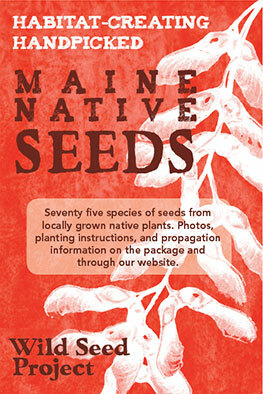 Wild Seed Project sells small packages of seeds, perfect for home use and nursery propagation. We do not have the large quantity of seed needed to broadcast seeds. 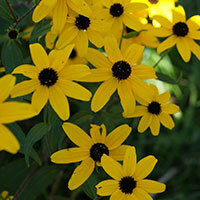 For bulk seed, the nursery resources listed above sell native seed in large quantities. Tossing seeds into a meadow has huge appeal to many people. Just remember that you will need to purchase a large amount of seed, and it will take several years to know if you have been successful. Occasional mowing and invasive species control are the two longterm maintenance practices for maintaining meadows. Properly timed mowing is crucial for supporting native plant species flowering and seed set and for providing year round habitat for pollinators and other wildlife. Mow no more than once a year, preferably at the end of the growing season. 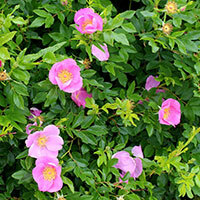 Each year you should choose some sections to leave un-mown to provide overwintering habitat. Winter is a great time to create a plan for your property so that by spring you can be prepared to start converting some of your landscape to meadow.